« . monthly favourites – april 2014 . I actually just made banana bread this past weekend! I don’t know how I ended up with ripe bananas, either. It’s like they ripened over night or something, haha. Sometimes simple is the best, and I feel like banana bread is just delicious as it is, so why mess with a good thing, right?! Honestly, the only reason preventing me from whipping up banana-baked goodies -my favorite kind- every week is the little matter of a household of monkeys flying through bananas! While I am on board with the addition of chocolate-chips in banana bread(nothing more), sometimes you just want that good ol’ banana flavor to shine. Freckled bananas are the most beautiful kind! Very good recipe – thank you! My bananas weren’t ripe enough, so I think these would be even sweeter with ripe bananas. I will definitely make these again. I love new banana bread/muffin recipes…especially simple ones! Definitely giving these a shot later this week, thanks girl! Ahaha, I too made banana cupcakes last week 😀 I am the great admirer of chocolate shaving, but sometimes simple things really work better 😉 By the way, I almost never manage to taste such brown bananas… I eat them in a “yellow” phase! Ahhhh, the muffins! Look delicious…Do you think I can sub the almond meal with oat flour?…As for bananas, I go through phases where I eat them often and when I don’t. I always have them on my counter and will occasionally run into the overriped situation – more often in the summer when things get riper faster because it is warmer. The best bananas for eating are between green and spotty. I also rarely have any spotty bananas! I am going to leave a few though purely to make these – they look like the perfect after dinner sweet tooth satisfyer! Did I tell you my work makes an awesome banana bread with chocolate ganache on top? It’s killer. Hi Joy! You’d probably be just fine subbing the almond flour with 1/4 cup more rolled oats. I wonder what I could use instead of rolled oats. I am allergic to oats. Any suggestions. My huge sweet tooth definitely likes bananas on the riper side! Great minds think alike! 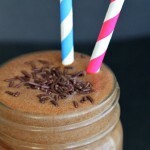 Love that these can be whipped up in the blender! I think a banana has to be reaaaaally spotty before I consider it to brown for me to eat. Ideal is a few spots, but really, I’m not picky….I don’t like them with any green though. I usually add chocolate chips to banana bread, because chocolate. That’s a great ideate add almond butter to the mix because, of course, I would want to spread almond butter on top anyway, so this just makes it extra portable. I prefer my bananas the day that first turn yellow. Overly ripe are far too sweet for me but greenies have kind of a harsh taste. I’ve actually not had much banana bread in my life. My mom HATES it so she never made it when i was growing up and I rarely bake myself so I’ll have to give this a try and see what I think. I’m guessing I’d favor the bread sans add-ins. Heck yeah to blender muffins! I love yellow or spotted bananas equally – I just tried some baby “apple bananas” and they are becoming my new fav! And I don’t know why – but I gotta have walnuts in my banana bread – one of my neighbors gives out fresh baked banana bread every Christmas and she sprinkles cinnamon honey walnuts on top and they are just soooo good! I totally want these muffins now! I hate spotted bananas, so I usually only buy 3-4 at a time so I can make sure they stay yellow. OH yummy! you are going to KILL me but I currently have 4…yes 4… overly ripe bananas. And by overly-ripe I mean almost black lol. I was going to make a loaf of banana bread today and now I think I will make these too! Wahoo! A win for my poor banana eating skills this week! Omg I want to eat all of these!!! I love the way the texture looks on them, just perfect!! These look great! Can you sub with oat flour? Sure can! Just toss another 1/4 cup of oats into the blender instead. If the dough ends up a little too dry, a splash of almond milk will do the trick. Great, Thanks! Can’t wait to try them! I hate bananas more than most things in this world. Except peanut butter. And when the two get put together it’s like more than I can handle. BUT I love banana bread. Like I told Sam when she posted about it a few days ago, I never have overly ripe bananas because I can’t stand the smell of them, so they can’t sit in my house long enough to get to that point. I wanted to make banana muffins for the blog a few months back and I actually had to put my bananas in the stairwell because I could smell them from my bed (I have a studio). Not sure WHY I love banana bread, but I do. Why yes, yes I do receive the award for the most unnecessary comment of the day. Justin and I LOVE banana bread, so banana bread in muffin form sounds absolutely fantastic! I ALWAYS have bananas in the house and sometimes by the end of the week a few don’t get eaten, so this is definitely a perfect way to use them up. AND, I like my bananas mostly yellow with just a few spots! Oh yeah I buy the discounted already brown bananas just because there is no way bananas are going brown in this house! I love how easy these sound! I also love banana bread, I keep meaning to try your flour less chocolate chip muffins and now I have another one I really want to try! I have been desperate enough to eat a banana in every condition, BUT I think the best is when it has juuuuust a few brown spots! And I like to add chocolate chips + nuts to my banana bread. My family is all about texture, so having a little bit of a crunch is a plus for us! Actually, I really love brown bananas. I know it’s weird and maybe some would call my taste gross, but I just like them soft and sweet. I made your flourless chocolate chip almond butter muffins in cake foem – it was to die for!!! Mhmm, these look absolutely delicious, Amanda! I actually don’t think I’ve ever made any type of baked bread/muffin without some sort of flour, so I’m intrigued. They look oh-so dense and moist! I’m a haauuugggeee fan of banana bread and have so many happy memories that revolve me eating them on weekend mornings with my dad. Beautiful photography, as always! Pinning! Thanks love! I’m almost afraid to click over to your chicken alfredo recipe. I caught a tiny glimpse of it and omigosh… I may die. You had me hooked after I read the first line. These look great! I don’t discriminate when it comes to banana bread. With no mix-ins or lots of mix-ins…I love it all! As for bananas, I like them not green, but not super brown…somewhere in the middle. I’ve totally been loving all things banana lately. And might I add these muffins are SO CUTE? They look like the perfect size so I don’t feel like I’m eating a truck full of butter haha! LOVE these!! OMG and it would be so super easy to use protein powder or greek yogurt to kick up the protein for post workout. Banana muffins anytime right? lolz! Thanks so much for this recipe! For a chocolate lover I am actually shocked you chose not to throw some chocolate chips in there! Who ARE you?!?! 😆 Banana bread is probably the only thing I prefer without chocolate. I’ll add some chips in on occasion, but then I find myself wanting to eat around them. I know. Blasphemy. Those look adorable and tasty. I’m the same as you… I love bananas so they are pretty much gone right after I buy them. I actually love super ripe bananas because I usually mix them in with oatmeal or mush them into bran cereal with almond milk. I only really like bananas to be on the less ripe side if I am eating one plain, which is rare. I like banana bread both simple and with add-ins. I’ve done walnuts, almonds, chocolate chips, cocoa powder, and peanut butter chips (on separate occasions! Not all in the same bread!). I love all variations that I have come across. Wow those look really good as well as light and fluffy. Anything light and fluffy is a winner in my eyes. Everything looks really good and thank you for sharing. those look delicious! i’m terrible in the kitchen but i’ll def give these a try! These banana bread muffins look amazing! I love how they are flourless. I have some ripe bananas in my kitchen that I can now put to good use! OMG…you and I both posted banana bread recipes today! We are totally on the same wavelength right now. I love banana bread and these muffins are perfection! I love that you threw in almond butter with them too. Another must try! Thank you, thank you, THANK YOU! 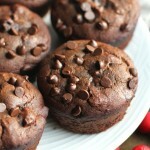 For the next few months, I have to avoid sugar, wheat, and dairy…so these muffins look perfect! I love banana bread and I can’t believe I now have a recipe! Thank you so much! I have already pinned a picture and CAN’T WAIT to make them!!!!!! I do like keeping bananas on hand, as it is one of the few fruits the kids and I like. It is so frustrating as they do go bad so quickly! 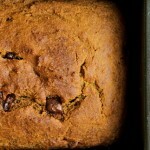 I have a wonderful banana bread recipe, but there is NOTHING healthy about it! Celiac’s does run in the family, so I’ll have to pin this for making for my dad sometime. Oh hell yes…these look so deliciously moist! I’m so with you about eating banana bread naked. I love chocolate & I love nuts but there’s something so comforting about a slice of plain banana bread…even better with a steaming mug of coffee on the side! In terms of eating bananas straight up, I like ’em with a lot of spots…the uglier the better if you ask me! The bright yellow bananas are pretty to look at it but lack the wonderfully sweet flavor! Have you tried the “wrapping bananas newspaper” trick for ripening bananas quicker? It works like a charm! I LOVE banana bread!! This recipe does look really simple and quick. Hopefully I can try them out soon! My first problem is I need to get some bananas ASAP. When I eat bananas by themselves, I like them perfectly yellow (slight green tinge is okay). But for EVERYTHING else — oatmeal, breads, muffins, smoothies— they must be spotty. And I let them go nearly black sometimes. I actually took home some bananas that my math teacher got from the teacher’s lounge at school since no one wanted them. So I was walking through school with a disposable tray of spotty bananas yesterday. Guatever. AHHH WHY DON’T I HAVE ANY OVER RIPE BANANAS? These would be so good with yogurt and almond butter! Pinning now!! My bananas must be nearly black! Super duper ripe or I for sure won’t even touch them. I’m always nervous to bake without flour, but these look just fabulous. I like green bananas! I don’t eat bananas much, but when I do I am ridiculous and insist on buying it the day of, or the night before. Banana bread is a different story, obviously! Can you believe that I’ve never made my own banana bread? Crazy considering how much I love it. And, like you, I like to keep them plain (to allow for an abundance of topping choices, of course!). I like my bananas dark. They are so much better when they’re brown. There is no “too much brown” for me! I have some overripe bananas too!!! Must try! Those look yummy! I always run out of bananas too…. But sometimes I buy brown ones on sale for bread! I have the same problem with never having bananas that actually get to the super ripe stage! I have two bunches of bananas on my counter right now – one ripe, and one still light green – and I guarantee you I will eat them all well before they make it to turning brown. But I will try my hardest to control myself and save 2 because I really want to make these muffins! With the exception of chocolate chips, banana muffins or bread need to be eaten in its original state- with butter. Amanda… these look SO good, so fluffy and so delectable. I am so thrilled that they are sugar-free because I am about to embark on a sugar-free challenge for the month of May, and I am thinking these delectable treats need to be making an appearance in my life. 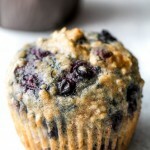 You are my new muffin go-to… I can’t believe how delicious all of the muffin recipes on your blog are! Drooling. I love bananas that are just a teeny bit spotted! But Greg haaaates them and only eats them if they’re green/yellow. Pshhhh I don’t get it, hah! My mom is the same.exact.way, and yeah… I don’t get it! You just made banana peels look beautiful. And you just made banana bread flourless! AND easy!! Pinning! Your flour-less muffins are my favorite. They are so perfect. I LOVE spotty bananas, that’s when the nutrients are most readily available after all! Green bananas are BLECH! These look SO good. GIVE ME GIVE ME! And I’m with you…most people’s definition of “overripe” is my just right banana! They have to be completely BLACK before I’ll deem them inedible! My coworker will only eat hers if they have green on them and is actually skeeved out by even a couple of freckles! She used to bring me in her “bad” ones when I worked day shift! Haha! I just want you to know that I went to the store for two bananas last week for the SOLE purpose of making these beauties and after sitting on the counter for five days, they were ready to go come Saturday! And then I failed you…and myself…because they are STILL on the counter! I’m sure they’ll be growing fuzz by tomorrow! Oops? Dammit! What a great recipe, thank you for posting this- I cannot wait to try this out. Brown bananas is a rarity around these parts as well, although I do love when the situation occurs for this exact reason: banana bread, banana muffins, all things banana-y good (and I’m making up words now. I’m sure that’s normal). My preferred method for banana eating is just a click before they’re fully ripe; almost green in fact but with a tinge of yellow. Yep, that’s where the magic happens. Yummm I’m so making these soon!! JUST made these! Subbed an extra 1/4C of oats in place of almond flour and they are. so! delicious! Yum these look delicious! Pinning this for later! I love making banana muffins and have never tried it this way before. I’ll have to look out for when almonds or almond flour go on sale and try this soon. They look so soft and chewy, almost like brownies. Yummy! Pinned. I don’t have any flaxseeds! Can I leave them out, or sub something else!? I don’t have any flaxseeds either, and was wondering what the purpose of the flaxseeds is in the recipe so I could try out a substitute? Obviously it’s not a sub for eggs since your recipe calls for 1 egg.. does it take the place of fats/oil in the recipe? Thanks! these look amazing!! new to your site and I have been drooling with everything ive seen! Your flourless muffin recipes are ingenious! I’m beginning to eat eggs again and these just might have to be my first shot at baking with eggs (not counting the messy kitchen memories from childhood of course…) Plus I have a couple of bananas threatening to go spotty in my kitchen (I was ill and bananas seemed to be the only thing I could stomach so I stocked up a little too generously :S) Perfect timing! If I’m eating bananas straight up, I like them when they’re just yellow, before they start to go spotty. I’m not a fan of the mushiness… But I have no problem with spotty bananas, I mean why would I ever have a problem with the perfect excuse to bake with bananas? Thanks for the amazing recipes! The photography is beautiful! Can’t wait to try these. Hi, love anything to do with bananas which is what led me to your site. Just have problem with almond butter. What could I use instead? Tried this recipe with all oats and subbed sugar free peanut butter for the almond butter. Added a bit of nutmeg. These were delicious, super quick and my boys loved them! Thanks for the recipe. It’s definitely going to be a repeat in this house! Oh thank goodness! I’ve been scrolling down hoping someone had asked this question as I can’t have oats either! Yay!! I must try these!! I need to make these asap! YUM! Any suggestions on what I could substitute for the egg? I am allergic to eggs:( but I must make these! Bored. Had lots of super ripe bananas. Came upon your website and this recipe. Decided to make these muffins. I use 2 Tbs almond meal, 1/2 cup of gluten free all purpose flour and 1/4 cup potato starch, instead of the items you had listed. I sprinkled some coconut sugar on top before baking. Turned out so delicious! Moist, slightly sweet. Next time I may throw in some chopped walnuts or pecans for texture, but overall a very solid banana muffin recipe. They puffed up so pretty, almost like a soufflé . Beautiful. Thanks! I just made these and they’re really good! They baked in the oven for 15 mins (10 mins was not enough). This recipe made 7 muffins for me. They’re easy to make and delicious, I’ll definitely make them again. But I’ll probably double the batch since 7 muffins doesn’t last long in my house. A little confused because the recipe barely made 5 muffins for me. Are you using a smaller muffin tin? I’m a pretty avid baker so I’m not exactly sure what went wrong there… Any insight? Hi! If I just made almond milk, should I dry out /dehydrate the pulp before using it in this recipe? Thanks! You might want to dehydrate it a little bit, Makenzie, or the batter might end up too wet. I cant digest flaxseed very well. Is there a substitute for it or can I just omit it? Are you able to digest chia seeds? Because those would work as well! Oops I didn’t read down far enough to see your answer about substituting chia for flaxseed.. Would you use the exact same amount of chia seeds as for the flaxseed? I’m excited to try your recipe now that I have all the ingredients! Definitely! Any liquid sweetener would work. These are not gluten free….there are rolled oats in the recipe! 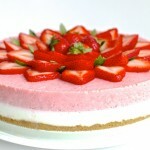 I just found your website and am loving the look of this recipe. I don’t currently have an blender right now but do have an immersion stick that I use. I’m not sure if the oats will break down with it though…do they need to be more like oat flour because I could put them in my food processor first. Thanks! Yes, they just need to be like a flour so you could grind them up first and then just mix everything by hand. Peanut butter would be fine instead of almond butter. But I’m not sure about coconut flour since it’s a little too absorbent and the batter isn’t very liquify to begin with. I do know people have used an equal amount of oats in place of the almond flour and had good results though! Question have you ever adapted these egg free as well as dairy and gluten free? gf baking is new to us as we’re gradually becoming more intolerant, so looking forward to trying these little babies! Is there anyway to figure out the carb count in these muffins? Hi Lynette! Each muffin has about 16g of carbs. I can’t have the rolled oats. Could I sub more almond flour for that? I love Banana muffins, and think I’d like them just plain too. My daughter will love me if I make the double chocolate chip ones! They should be fine with more almond flour as well, Kathryn. I made these today and they came out delicious! I substituted egg with flaxseed and used sunflower seed butter. Also used more GF oats instead of almond meal. I used a hand blender. These are so simple to make and I won’t mind letting my children have muffins for breakfast (or anytime of the day) since all the ingredients are good for them. I made the banana muffin recipe twice but still can’t get it to blend unless I add some milk to it or some kind of juice. I’d like to make it diary-free. Do you know if i can add water? Any tricks for blending please? A splash of water -should- be fine if you only need it to get things moving. Either that or you could try almond milk for a dairy free option 🙂 If that doesn’t work, then you could simply grind the oats into a flour and mix everything by hand. I’m not sure what could have gone wrong, Imogen, sorry! I’ve made them on a few different occasions and never run into the problems that you mentioned, nor have any other of my other readers who’ve made them. The only thing I can think of is a difference in altitude, since that can have a big effect on baking. I used a regular sized muffin tray, so, if anything, you could just try to fill the cavities less. Hi, I am just wondering how this can be gluten free with oats in it? Is gluten from wheat oeays barley n rye? Hi, I am just wondering how this can be gluten free with oats in it?sIsn’t gluten from wheat oats barley n rye? Are you gonna reply to me? these look absolutely divine! I will be trying these very soon! Thank you for the recipe! The muffins are in the oven as I type! I’m super excited to try them. One suggestion that I have is that you show pics of the actual mixing process – or at least one picture of the batter. As you know, gluten free batter does not typically look like “regular” batter. I have found it helpful (and reassuring!) to be able to see what the blogger baker’s batter looks like. That can help pinpoint where something might have gone wrong as well (especially if, like me, people had to make substitutions…no nuts for me). Thanks for the recipe. I’m happy to have found your blog. I’ll let you know how they turned out. Hey! This looks awesome, but I live in a country where I can’t find gluten-free oats. In fact all the peoplr here think that oats contain gluten, and even doctors say so. I’m probably one of the very fewest that oats, don’t actually contain gluten. But anyway, they’re not available here, so I’m wondering what can I substitute the oats with. Besides, there are no good sugar replacements here other than honey and stevia manufactured by the same companies that make chemical sweeteners, and I don’t trust in them, and to me, honey is just another form of sugar. I’m trying to be sugar free as well, and it’s getting hard, but I’m being very adventurous with fruits and I’ve read about using fruit purees as sugar replacement for baking, which sounds awesome. I was wondering if I just take off the honey, will the flavor and sweetness of the bananas remain or the baking process cut off them? As for the honey, it would be fine to leave it out, and the banana flavour would definitely still shine through, but the muffins might be a little bit less sweet. Sorry, I mean, people with celiac disease! Heyy.. love the look of these!!.. im going to try them out in a couple of hours..
but i need to know a substitute for almond butter or basically nut butter.. Here, this is not easily available .. what else could i use in place of it..?? Hi Lisha. Unfortunately, the nut butter is a pretty key ingredient since it helps give the muffins shape. If it’s not easily available, you could try to make your own by running raw nuts through a food processor. I made a batch last night and my kids loved them! What is the calorie count per serving? Hi Perla! Each muffin comes out to about 125 calories. Tasty! And couldn’t be easier to make! The only change I had to make was to cook them 5 mins longer. I love that it’s a small batch so I can make them whenever I want without excuse 🙂 And they’re not overly sweet for my 3 year old. Thanks for the terrific recipe! HI! Is there anything I can use in place of the flax seeds? Or are they necessary? Chai or Pumpkin seeds (ground or chopped) would be a good sub. I don’t know if it’s just my computer, but I can’t clearly read the numbers for the fractions in the recipe. The entire fraction shows up above the diagonal line which makes it very small to read clearly. Can you please clarify the fraction amounts? Thanks! These were quick and easy to make. They were so moist and delicious! I love the healthy ingredients in these muffins. I made them today as the recipe stated except that I used sunflower butter instead of almond butter. For some reason 4 of my muffins turned green on top. When slicing the muffin there is a thin layer of bright green. Any idea what this could be? Hi Rita! The reason this happens is because of a chemical reaction between the sunflower seed butter and the baking soda. I’ve had muffins turn green on me when I used sunflower seed butter as well, and it’s perfectly safe to eat still… just maybe not as pretty to look at. Thanks so much for this recipe! The only change I made was adding chopped nuts to the top before baking. These will make a nice addition to my breakfast. Holy ever-loving perfection, Batman. This recipe is ridiculously fabulous. I feel like you should have some sort of award for awesomeness based on this one recipe alone. Love. I feel like if I gush any more about the amazing-ness of these muffins it will be borderline stalking, but they were GREAT! Thank you! This recipe it’s great! thanks so much for sharing! I made these yesterday and they were SO yummy. Have you tried freezing them? Would love to make a few dozen and pop them out of the freezer by the dozen as needed! I’m glad you enjoyed them, Allison! Thanks for letting me know 🙂 I have tried freezing them and they freeze wonderfully. I stumbled upon this recipe on Pinterest and just made them they were absolutely delicious even my daughters who are picky eaters loved them. My oldest said the ingredients except the bananas sounded icky but she was pleasantly surprised. I made them within the flaxseed because I didn’t have any. I plan to double the recipe and take it to the next family dinner. I’ve had this recipe saved on my phone for a couple of months now, and finally, finally decided to go for it. I had the right brown-ness bananas, the almond butter, eggs and oats, then I saw that it called for almond flour, shoot! Then I saw I could sub additional oats, hooray! Then I saw the recipe calls for flaxseed, boo! But I had chia seeds, hmmm, maybe. So I went for it. I also added some chopped walnuts because I love them. What I don’t love is measuring, so I picked my battles and measured the oats and baking soda (sort of). Well… I love it when a plan comes together! And you now have a new subscriber. I’m always exciter to find new flourless recipes that dont taste like cardboard. They’re deee-lish! Thanks! P.S. love, love, love the blog name. I must admit I’m guilty of running with spoons, and sometimes forks! Has anyone tried these without the egg or flax? I’m not supposed to eat either, and I’m wondering if there is something I can sub in for egg or flax. With 2 bananas, would that make the muffins moist enough that i could leave out the flax? Thanks! I’ll give it a try ……. I had this recipe saved for a while too and finally gave it a try. DELISH. I’m often skeptical of flourless recipes but these turned out amazing! I can’t thank you enough! You can’t even tell they’re sugar free and they have the perfect moistness! Thank you a million! I made these today and had to make them egg-free for my daughter because of her allergy. I subbed 1 tbsp ground flax + 3 tablespoons water (mix together and let sit for 5 min) and it still turned out great! We added tiny chocolate chips to some but they were still delicious without. Thanks for the great recipe! These look AMAZING! My little guy loves banana bread, so I’m sure he’s going to be excited to see these! Do you know how many calories are in the above recipe Flourless Banana break muffins (made with almond butter? They are delicious! Hi Jack. Each muffin has about 125 calories. You should be fine subbing in an equal amount of almond flour, Kathy. I wouldn’t reccomend flax meal since that would change the taste as well. Thanks for an amazing recipe!!! I was looking for a recipe I could bake with what I had in the pantry (I always throw extra ripe bananas in the freezer for when the mood strikes for banana bread) so I did have to make a couple of adjustments. I only had peanut butter (but plan on trying your recipe for Maple nut butter! ), no flaxseed and no almond flour. So I used peanut butter, added the extra oats instead of the almond flour, omitted the flaxseed and as little treat added 1/4 cup chocolate chips. They are amazing – only three left within minutes of them being cooled lol! Next time hopefully I’ll have the Maple nut butter & flaxseed on hand. Looking forward to trying more of your recipes!!! So yummy. 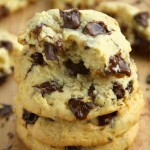 I did add Enjoy Life mini chocolate chips(soy free, dairy and nut free). I also had to bake them about 16 minutes because I live a high altitude. Otherwise they turned out great, thanks for the recipe. Cant wait to try some clean food muffin recipes. Ill have to see how these freeze. A few notes from my kitchen. Overly ripe bananas are a excellent kitchen ingredient here. They can be pulled out of their skins and frozen until ready for breads and ……. another gem I make here is banana pudding from scratch. One kitchen rule I have learned over the years is that the closer a banana is to that OMG thats gross stage without crossing the line. the more flavor it gives the final product. Has anyone tried substituting Greek Style yogurt for Nut butter? My three year old son loves these muffins, but they are even better when you add fresh blueberries just prior to putting them in the oven. I always make a double batch and they are gone in a few days! Hi, Just found your awesome sight looking for healthier banana muffins. All these recipes look amazing! Thanks for sharing. I’m sorry if someone already asked this or I missed it but do I need the flax seed? I know a lot of people use it in place of eggs. I just don’t have any right now and wanted to make them. I haven’t used flax in baking so wanted to make sure and ask about it for the future. Excited to see more of your recipes! You should be fine leaving them out of this recipe, Ruth! Thanks so much. I made them and they are terrific. I omitted the flax seed since I didn’t have any, I used almond butter and they are so delicious!! Thank you so much for sharing this recipe. I can’t wait to try your other muffins. i really want to try these! I can’t eat oats…do you think just adding all almond flour is ok? I made these tonight and they turned out wonderful! I did end up adding one extra banana (because I had three rapidly browning bananas and didn’t want to leave one behind). I also ended up subbing coconut oil for the flax seed since my flax smelled a bit stale. Because of the additional banana I had to bake an extra 5 mins but the muffins are soooo tasty. Thanks for the great recipe and great photos which have inspired me to let the bananas turn brown again next time. I see that it says these muffins are gluten free but i have read mixed reviews on rolled oats being gluten free. do you have any insight on this? Oats are naturally gluten-free and the only way they can cause problems for people with gluten sensitivities is through contamination as a result of being processed in the same facilities as wheat products. There are a lot of companies that produce their oats in separate facilities and offer certified gluten-free oats, though, and those shouldn’t be a problem. Made these yesterday and they turned our really great! Put a layer of Nutella on top and they were divine! Thanks for the great healthy treat! I made this recipe using cocoa almond butter instead of almond butter with honey. The muffins never dried in the middle despite 20 minutes of baking. I can’t see why there should be such a difference in outcome. The rest of the recipe was identical. Was your blender able to fully break down the oats? Because if not, they wouldn’t have absorbed as much liquid and the muffins would have a harder time to set. You could try grinding the oats into a flour prior to tossing them into the blender, or reducing the bananas by a little bit. Yummy and so easy! Thank you! My biggest problem is trying to scrape all the batter out of my blender. Some day I will have an awesome blender. Thank-you for your assistance. I will follow your directions next time. Bananas are seriously a gift from the baking gods. I love these! Love these flourless muffins. Do you have nutrition facts and calories per serving size? I love these! My boyfriend and I tried all the different kinds, and we can’t get enough! They’re a staple in our apartment now, we make them every week for healthy snacks to satisfy our sweet tooth. Thank you for the amazing recipe! I am having a sudden craving for bananas; came across this recipe on Pinterest and would love to try it. I wanted to ask if I could use quick oats instead of rolled, and do I measure them before or after I blend them… Thanks! Quick oats are absolutely fine, Gracie! They all get blended up anyways so it doesn’t matter what kind you use. And measure them beforehand. Thank you so much, they turned out heavenly! Next batch I make will have tiny slices of banana or frozen blueberries baked into them. Have a Merry Christmas! I’m so glad they turned out, Gracie! Merry Christmas to you as well! Hi! Have you ever made this in loaf form? Would you need to change anything? Or just the baking time? How long would you make it in a loaf pan? I’ve made the muffins before and they were great and my family loved them as well! Hi Andrea, I’ve never tried to make it in loaf form so I can’t say for sure, but I don’t see why it wouldn’t work. The only thing is that the recipe only makes 9 muffins, so the loaf would probably be pretty small. I might actually try to play around with the recipe and see if I can come up with one in a loaf form! This recipe was so amazingly good and so easy!! Do you know how many calories are in each if you make 9? My recipe only made 8 this round. I’m glad you liked them, Kallen! Each muffin comes out to about 125 calories. These were so good! Is there a way to add some protein powder to them? I’m so glad you liked them, Nisha! I’m honestly not sure about the protein powder, but I’ll be experimenting with something like that soon so it might be up on the blog or in the book in the future! This tasted really nice and I really liked how I can actually taste the bananas. I used maple syrup instead of honey but left everything as is. My only problem is the muffins came out a little mushy almost? It was really moist, too moist actually. Any ideas why? It did not look like the picture at all which is disappointing because texture aside, this recipe was great. I would try using agave as a honey substitute. It’s a lot thicker than maple syrup. NOTE: the recipe says it makes 9 muffins. Nine? Yeah… can’t divide THAT in our household equitably (well, not easily anyway) SO I added the 1/2 cup walnuts and made MINI-MUFFINS… 20 to be precise. They cook up better in the altitude and were now divisible by 4! My 12-year-old proclaimed that I need not make any other muffins than these ever again! these recipes are great and super healthy and packed with nutrients : however, using flour instead of flour and flax seeds and honey and so forth…. well, you do the math !!!! i always bake and my colleagues obviously love it !!! Oops! I was finally able to rate these after my comment already posted. Thanks again! Sometimes simple is the best. This is another one I’m tagging for my kid’s birthday. Thanks for sharing. Can the honey be substituted with something? I am insulan resistant and cannot use sugar, honey or syrup. I came across this recipe in a google search, looking for recipes to use flaxseed. I didn’t have almond butter, so I used peanut butter instead. I also omitted the cinnamon and added mini chocolate chips instead since I thought that would go better with the peanut butter. OMG, they came out amazing! I’m sure they are a little less healthy with the chocolate chips, but still, glad to make a healthy version of banana bread that barely tastes healthy at all. Thanks again! !